President Obama's lugubrious policy of denigrating America whenever he visits developing Third World countries includes craven, mournful apologies for perceived past American sins to some of the world's worst thugocracies. British Prime Minister, David Cameron, alas, appears to be sinking to the same level in apologizing for alleged British sins. The Prime Minister was recently in Pakistan — that Muslim nation that has just seen U.N. officials beheaded and scores of people murdered by frenzied Muslim mobs upset at the burning of a Koran by an American Christian pastor. Of course, burning the Jewish Torah (first five books of the Bible), Bhagavad-Gita, (Hindu Gospels), Tripitaka (Buddhist holy book) and the Bible itself would never engender beheadings or murders: such horrors are left to the followers of Islam. But David Cameron has some problems with history, it seems. His words imply that Britain is responsible for all the ills between India and Pakistan — stating that Britain's, "imperial legacy was to blame for the current conflicts in many parts of the world's trouble spots." He continued, "As with so many of the world's problems, we are responsible for the issue in the first place." According to Nile Gardiner, Mr. Cameron, while on a trip to Washington last July, 2010, also described Britain as the "junior partner" to America in fighting the Germans in 1940. Are we to understand that Prime Minister Cameron does not know that Britain fought alone once war was declared on September 3, 1939 and that the US did not enter the war until December 7, 1941, and then only because the Japanese attacked Pearl Harbor? Again, according to Nile Gardiner, writing in the London Daily Telegraph on April 5, 2011, Cameron's predecessor, Gordon Brown, had responded to an earlier attack on Britain by Thabo Mbeki, then South Africa's president, by declaring that, "... the days of Britain having to apologize for its colonial history are over," and that, "we should celebrate much of our past, rather than apologize for it." With thanks to Mark Steyn, I am reminded of the words spoken by British General Napier who, in a much earlier time, was faced with a problem confronting British control in India. The problem was the Hindu practice of "suttee" — the grisly tradition of burning widows on the funeral pyres of their husbands. "You say that it is your custom to burn widows. Very well! We also have a custom. When men burn a woman alive, we tie a rope around their necks, and we hang them. Build your funeral pyre. Beside it, my carpenters will build a gallows. You may follow your custom. And then we will follow ours." India doesn't have suttee any more. Britain undoubtedly brought enlightenment to much of the world, stamping out endemic horrors such as suttee and creating stable governance and a civil service admired and emulated by native peoples throughout the Empire. But not everything turned out the way it was originally meant to be. Sometimes, the British civil service operating around the world fell short of its mission because of the prejudices of individual officers and civil servants. Yes, there were abuses of power by minor and senior officials and sometimes they were confronted by brave individuals who succeeded or failed in correcting those abuses. At the height of Great Britain's Empire, when almost three quarters of the world was governed by Britain, an Austrian Jew by the name of Theodor Herzl was deeply affected by the anti-Semitism he found in otherwise enlightened France. As a journalist for an Austrian paper, Herzl had attended the infamous Dreyfus Trial, which put a Jewish captain in the French Army in the dock charged with high treason. This was a nakedly anti-Semitic falsehood perpetrated by the Army High Command looking for a scapegoat for French military disasters. It initially resulted in Dreyfus being sent to the horrendous penal colony on Devil's Island. 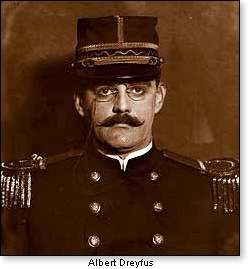 Dreyfus was eventually found not guilty after a campaign by the great French writer, Emile Zola, who in 1898 wrote a letter titled "J'Accuse," published in the French newspaper L'Aurore. In his letter Zola listed military personnel and eight politicians (including the President of the Republic) whom he held responsible for the scapegoating, anti-Semitic conviction of Captain Dreyfus three years earlier. Herzl witnessed the ugly outbursts of anti-Jewish bigotry among the French citizenry, which led him to realize that Jews would forever be victimized and persecuted unless and until they redeemed their ancient Jewish homeland — then under a nearly 400 year old occupation by the Turkish Ottoman Empire. Seeing there was no escaping the hatred that never dies, he determined to work for the restoration of the ancient and ancestral biblical Jewish homeland in the neglected and impoverished Turkish backwater, which stretched eastwards from the Mediterranean Sea. He spoke with the world's leaders often with words that thundered with terrible conviction and shattering truths. He did so with the earnestness and fatal speed of those who are to die young. And, indeed, he wore himself out for his heart gave way at an early age. But his message gave hope to a long suffering and stateless people who had lived for nearly 2,000 years dreaming of their final return and redemption in the native land of their biblical and post- biblical ancestors. "England, great England, whose gaze sweeps over all the seas — free England — will understand and sympathize with the aims and aspirations of Zionism." And so it was that on November 2, 1917, Jewish hopes for a restored and independent homeland were raised by the British Foreign Minister, Lord Balfour, in what became known as the Balfour Declaration. Great Britain conquered all of Ottoman occupied territory including the geographical territory known as Palestine. After the First World War, the League of Nations gave Britain control of the Holy Land with a mandate to effect Jewish self-government and a national homeland within it. 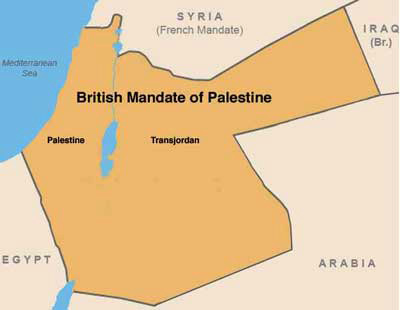 But shortly after Britain obtained the Mandate, she tore away all of the land east of the River Jordan in 1921/22 and gave it to the Arab Hashemite tribe; thus denying Jewish rights in four fifths of the territory. This was a first White Paper issued by the British Government and dealt a grievous blow to Jewish aspirations and hopes within the Mandatory territory. It also could be characterized as the first "Two State Solution." Under Colonial Secretary, Winston Churchill, Mandatory Palestine was partitioned and all the territory east of the River Jordan was given away to Emir Abdullah Ibn al-Husseini, who had earlier been driven out of Mecca by the rival Saud family. Abdullah had no historical ties to Mandatory Palestine but nevertheless received nearly 80% of the Mandate. In 1925, Britain further increased the size of his territory. That country, which sits on nearly 80% of original Mandated Palestine, is the present Kingdom of Jordan and from its artificial inception, Jews were barred from living in it; an early version of Apartheid, Arab style. Jordan consists of an Arab population made up of 25% Hashemite and 75% Palestinian. In reality, Jordan is Palestine. And interestingly today, the Palestinian leadership in the so-called Palestinian Authority allows no Jew to reside in that territory and will permit no Jewish villages or populations to exist in any future Palestinian state. Again racism and apartheid Arab style. Meanwhile Hamas in Gaza calls for the extermination of all Jews in Israel. The world, especially the European Union, remains deafeningly silent at such blatant racism and genocidal threats. Most Arab leaders in the early years of the 20th century acknowledged that they had no historical claims upon the Land of Israel. The area had never been home to an independent Arab state called "Palestine," and even when it had come under the control of the invading Muslim Arab hordes sweeping out of Arabia in the seventh century, it had always remained an unimportant backwater. Since 1517 the land had been occupied by the non-Arab Ottoman Muslim Turks. In 1936, the British Peel Commission stated clearly that "if the Arabs were given independence in the enormous territories of the Middle East, they would willingly give, "little Palestine," to the Jews." But "Little Palestine" was now very little, reduced to just one fifth of the original Mandate — the tiny territory remaining between the Mediterranean Sea and the River Jordan — a mere 40 miles at its widest; smaller in size than New Jersey. It would be instructive for readers to purchase or obtain from their local libraries the remarkably clear and graphic books published by Sir Martin Gilbert, the official biographer of Sir Winston Churchill and Fellow at Merton College, Oxford. The two books are "The Arab-Israel Conflict, Its History in Maps," and the "Jewish History Atlas." From 1917 to 1922, different suggestions had been offered for the boundaries of the geographical entity known as Palestine and, after 1922, what was left of it west of the Jordan River. During the 1920s and 1930s, the Arabs rioted against the British Mandatory Authorities and, in the ensuing violence, many Jews were murdered. In 1929, scores of Jews were murdered in Hebron by their Muslim neighbors. Hebron is Judaism's second most holy city, the other three being Tiberias, Safed, and the jewel in the crown, Jerusalem. Remember, there were no so-called occupied territories then — Israel was not re-born until 1948 — yet Muslim Arabs were busy slaughtering Jews; just as they are today. In 1936, an organized Arab campaign broke out and armed Arabs inflicted heavy casualties on British forces. In addition, eighty Jews, mostly civilians, had been killed by the time the Arabs called off their "intifada" on October 12, 1936. Britain, as always, tried to appease the Arabs by appointing a Royal Commission to look into the Mandate. The Peel Commission recommended a Jewish state and an Arab state with a British controlled corridor from Jaffa to Jerusalem. The Jews reluctantly accepted; the Arabs totally rejected. In 1937 more Arab rioting took place with yet more Jewish and British casualties. Many of the Arabs who sought peace and coexistence were murdered by their fellow Arabs because they were considered "collaborators." This same murderous activity continues in today's Palestinian Authority and in Hamas occupied Gaza. The Second World War broke out on September 3, 1939 and Britain, more than ever, needed the oil from the Arab Middle East to survive. Again, it chose to appease the Arabs and in 1940 began restricting Jewish land purchases even though the barren land was often worthless and been neglected for centuries. Before that, the infamous 1939 British Government's White Paper drastically limited Jewish immigration into Palestine for the next five years, just as the Jews in Europe were falling into the genocidal clutches of Nazi Germany. That was not Britain's finest hour. "On the basis of a pledge, a pledge confirmed by fifty nations, we have been building our National Home. 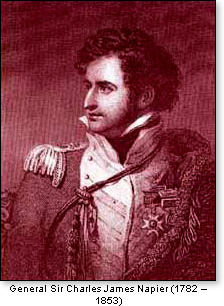 An international obligation undertaken before the whole civilized world cannot be unilaterally destroyed, least of all by a nation like Great Britain which has always striven, and still strives to maintain respect for law, for treaties and for moral principles in international relations." 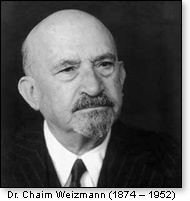 Perhaps Weizmann, who became Israel's first president, was too trusting and naïve. "Unlike present day Great Britain, where legislators from both parties vie for the title of most hostile to Israel, there were noble dissenters in Great Britain." "On 10 March, 1942, in the House of Lords, Welsh peer (and former Liberal MP) Baron Davies, made a stirring speech criticizing Britain's systematic appeasement of the Arabs of Palestine. In summing up his distaste at what British policy had been and was towards the beleaguered Jews he pointed out how counterproductive British actions had been to the war effort against Nazi Germany. Baron Davies added that: Now, of course, all these Jews who could have been mobilized at that time in what is now enemy-occupied Europe have become, in effect, slaves of Hitler, and they are entirely lost to us." "The whole thing has a Nazi smell about it, and I cannot help feeling that it does show the extraordinary way in which our Administration carries on affairs in Palestine." Britain's relentless appeasement of the Arabs led to a veritable death sentence for millions of Jews. The White Paper, as Ruth King reminds us, "limited immigration to only 75,000 Jews over a period of five years." Ironically and tragically, this was approximately the period that the Holocaust raged until Germany was finally defeated. Another irony was that appeasing the Arabs failed miserably in gaining their support against Hitler. Indeed, in the Balkans, Muslim SS Units rounded up Jews and Serbs and dispatched them to their deaths in German and Croatian death camps. 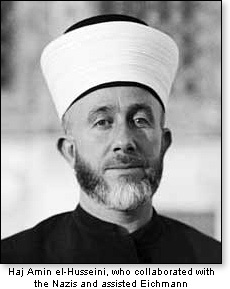 Many of these Muslim SS squads were formed by the Mufti of Jerusalem, Haj Amin el-Husseini, who lived in Hitler's bunker and plotted the planned extermination of the Jewish community in Mandatory Palestine. Meanwhile, Palestinian Jews and general Jewish enlistment in the British armed forces provided enormous contributions to the war effort. In particular the Jewish Palestine Brigade fought bravely in Italy against German front line forces and saved many Jewish refugees. (See The Brigade, by Howard Blum). In 1947, after one third of world Jewry had been wiped out, most unable to flee to safety in Palestine because the doors had been shut against them by the British Mandatory government, the United Nations voted to divide the land. This was a further division of the already truncated territory after the original first partition in 1922. The UN voted for a Jewish state and an Arab state. Again, the Jews reluctantly accepted; the Arabs rejected. The immediate response to the U.N. Partition Plan was the outbreak of yet more Arab aggression throughout Mandatory Palestine. The British still were responsible for law and order but behaved in ambivalent ways. Some police and soldiers even sided with the Arabs against the Jews by handing over to them British forts. Fast forward to the present and we now live in a time when enemies are embraced and friends and allies are abandoned. President Obama spends his term in office doing exactly that. David Cameron has, in part, followed. Here again are his distressing words to Pakistan: "As with so many of the world's problems, we are responsible for the issue in the first place." But David Cameron will never say to Israel what he said to Muslim Pakistan. The Muslim world is too important to the Arabist grandees of the Foreign Office with their inherent brand of genteel anti-Jewish and anti-Israel prejudice. Economics, alas, trumps morality and members of the Royal Family frequently are sent on state visits to various Arab emirates and sheikhdoms but never to Israel. After all, the Arabs would get upset and lucrative trade might suffer. Meanwhile Israel is under intense pressure by a murky constellation of Arab, Muslim and primarily leftwing pro-Arab organizations. The object is to de-legitimize the Jewish state by boycotts and through patently false charges of apartheid. The UN remains an immoral sinkhole and spends its time courting rogue regimes around the world while heaping one calumny after another upon the besieged Jewish state. Unbearable international pressure is mounting to force Israel into giving to the ever hostile and genocidal Arabs, those who call themselves Palestinians, the entire "West Bank," which is biblical and ancestral Jewish Judea and Samaria, and again reduce the width of Israel at its most heavily populated region to a mere nine miles. Yes, only nine miles wide! President Bush, when Governor of Texas, remarked to Ariel Sharon as they flew over the narrow territory in a helicopter, "... why, in Texas we have driveways longer than that." It is clear that Israel must retain as much of her ancestral land as possible, whether it be in Judea, Samaria, or the Golan Heights otherwise Israel will have insufficient strategic depth to absorb future Arab aggression. Gaza was already given away to the Palestinians in 2005 in return for hoped for peace. Now Israel instead endures thousands of Hamas missiles aimed at its civilian cities, towns and villages. The suicidal Two-State-Solution, which repeatedly rises from the grave like some Hammer Films vampire movie, is for Israel another Final Solution (the evil euphemism for the Holocaust). Its implementation drives a stake into the heart of Judaism's very spiritual and historical link to the re-constituted Jewish state, to Jewish history, and to its undeniable biblical patrimony in Judea and Samaria. 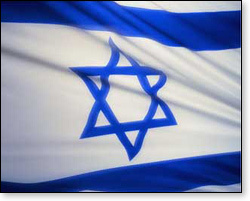 With the Islamic Republic of Iran and its Islamist allies, Hamas and Hezbollah, encircling Israel; with Egypt fast becoming the Islamic Republic of Egypt, soon to scrap its peace treaty with Israel; the Jewish state most certainly cannot survive in the pre-1967 boundaries that Israel's earlier Foreign Minister, Abba Eban, once described as the "Auschwitz borders." But it remains inconceivable that Britain today will ever make a profound and moral statement of support for Israel. The principled speeches and unambiguous support given in the past by the likes of Baron Davies, Lord Wedgewood and others are sadly a thing of the past. They would be howled down in a Parliament whose members, with few exceptions, now bend the knee to the unholy trinity of multiculturalism, political correctness and diversity. And yet Britain itself is a land under siege by millions of Muslims who have come to its shores not to be proud and productive British citizens but to be the advance guard of Islamic Sharia law and Islamic triumphalism. David Cameron, please note.